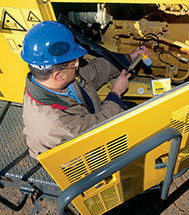 Established in 1972, CCM Services is a triumphed brand in the construction industry belonging to Teyseer Group of Companies – Qatar which has super-specialized hands-on experience in handling the demands of modern construction technologies in the field of electro-mechanical, civil, instrumentation and energy industries. 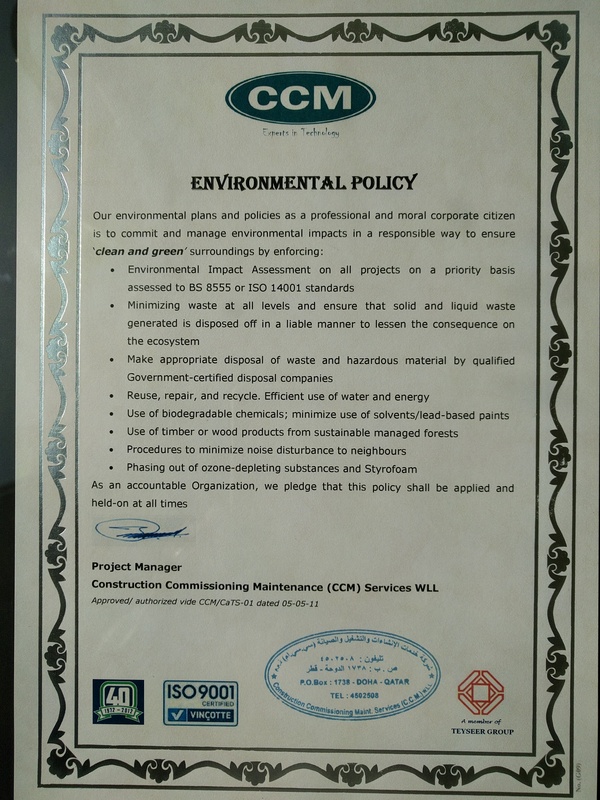 "To provide outstanding service to the Qatari market whether it is a government department, one of our international representative companies or an individual consumer." 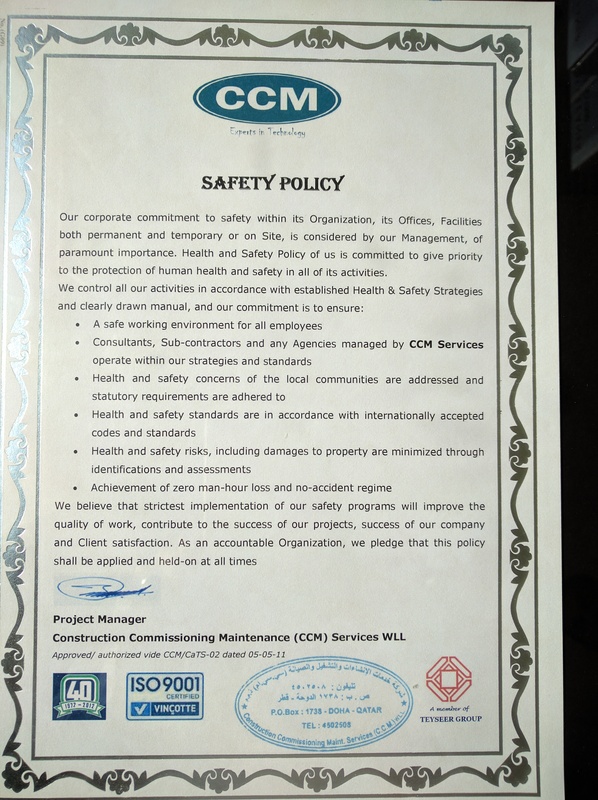 "Established in 1972, CCM Services is a triumphed brand in the construction industry belonging to Teyseer Group of Companies"
"We have professional experience in Potable Water, Surface Water & Drainage Water, Chlorination System, Plumbing and Lighting Power & HVAC." Our strength lies in our ability to create fresh and often innovative ideas and by using the enormous resource we have in-house, to shape and mold these concepts, into practical and cost effective proposals for project development and multifarious business activities. These are then finally synchronized in a truly professional manner to achieve above all a single goal. 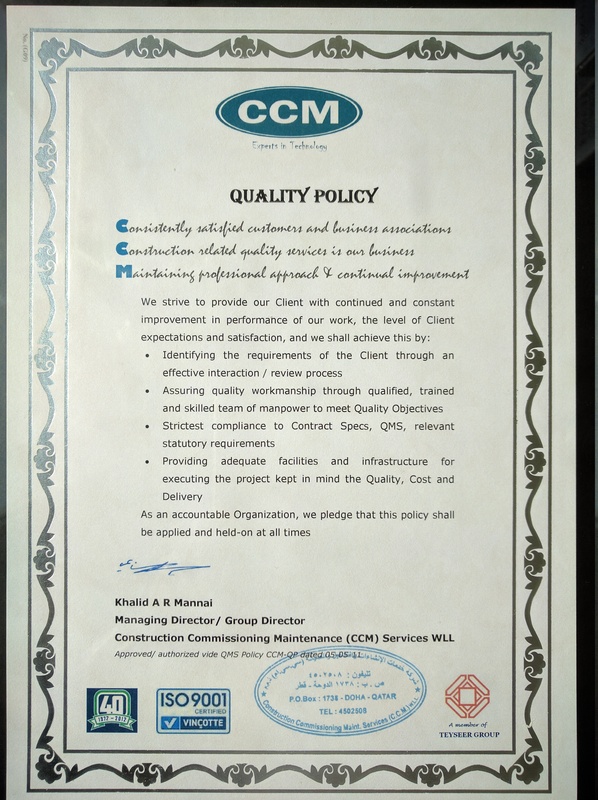 To provide outstanding service to the Qatari market whether it is a government department, one of our international representative companies or an individual consumer.